Among the terre di Siena rolling hills that overlook the Valdichiana, Villa ‘Fonte del Castagno’ is the ideal sojourn/holiday spot in the heart of the most fascinating area of Tuscany as far as art, culture and landscape are concerned. The possibilities of creating amazing itineraries and tasting fabulous food and wines are endless! 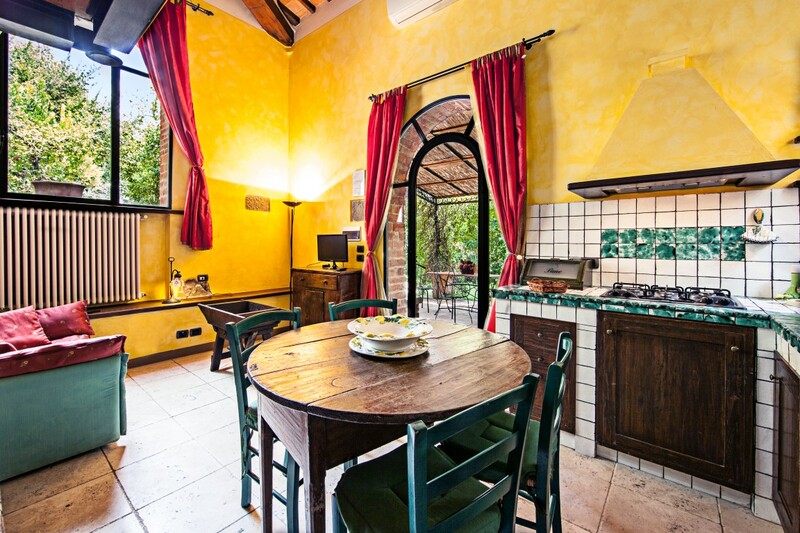 Our three picturesque apartments are the result of a sensitive restoration of the old stables of an historic, noble palace, placed beside the fonte del castagno – the old village fountain built in 1265. 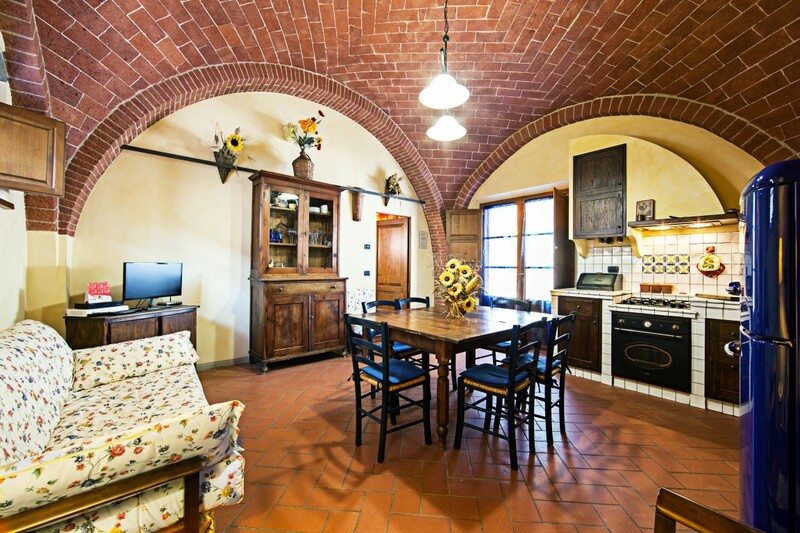 The original features of the apartments have remained unaltered so that the massive chestnut beams and ceilings with ancient brick vaults can be admired in their original splendor. 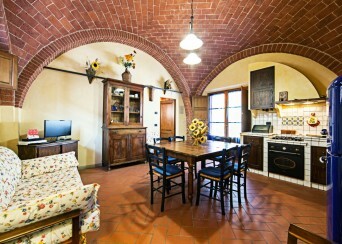 The comfortable furnishings are mainly antiques, in keeping with the architectural features of the apartments. In front of the apartments there are large, panoramic gardens arranged on various levels and shaded by trees. Each apartment has its own outdoor private area with furniture and a barbecue. There is a lovely swimming-pool in the garden. 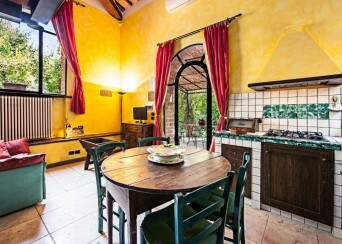 In addition to providing all of the amenities most often found typically only in countryside properties, Villa ‘Fonte del Castagno’s unique location in the medieval center of Sinalunga is only steps away from the main square. There you will find cafes’, restaurants, shops, the vibrant market on Tuesday mornings and village life. In the surroundings area you can see Montepulciano, Pienza, Siena, Montalcino, San Gimignano, Cortona, Arezzo, Perugia, Assisi, Florence, Chianti area, Val d’Orcia, Crete Senesi and many other places and for detailed information click “WHAT YOU DO” on the top of the page. 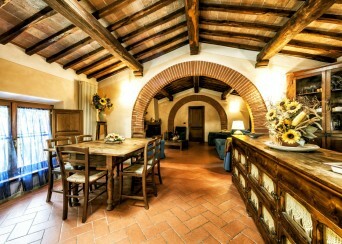 Show the photogallery of rooms, external places and private pool !